Remembering Satoru Iwata: Corporate President. Game Developer. Gamer. 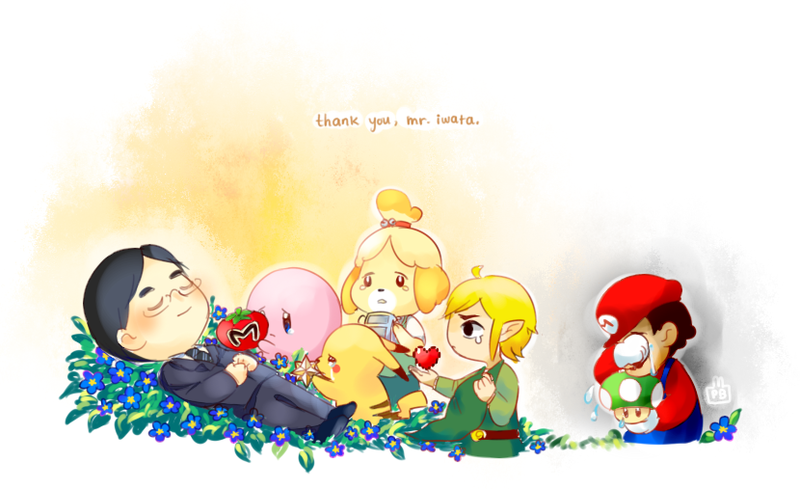 Looking back on Nintendo's late president one year after his passing. The video games industry abounds with urban legends. Fight Sheng Long in Street Fighter 2, blow on NES cartridges to absolve them of sin and grime and fingerprints, make a pilgrimage to a certain landfill in Mexico and exhume thousands of unsold Atari 2600 cartridges, launch nuclear weapons using PlayStation 2's Emotion Engine, and sit on the edge of your seat, peeking through the fingers laced over your eyes, in the vain hope that your favorite NFL player will dodge the Madden curse, sustaining injuries ranging from fractured fibulas to stubbed toes. Some of those myths are true. Most are false. One thing they have in common: they're all larger than life. One legend not listed above, nor as widely circulated as the most gratuitous of the bunch, involves Nintendo's late president, Satoru Iwata, who passed away one year ago today at the age of 55. In late 2012, some months before the Wii U launched, Iwata-san strolled along the production floor at Nintendo's Kyoto headquarters to peruse the console's lineup of launch games. He approached one monitor and beheld Balloon Trip Breeze, one of the minigames in Nintendo Land and an homage to 1984's Balloon Fight, an NES title that Iwata had programmed. Deciding that the characters felt a little off, he pulled up the code and modified the game's physics on the spot. 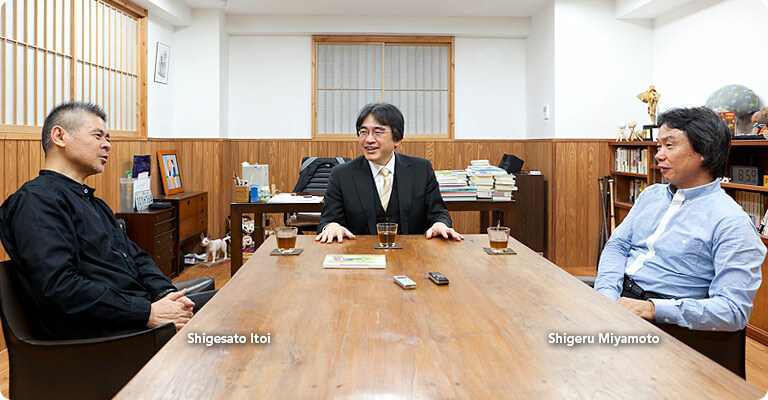 That wasn't the first time Iwata rolled up his sleeves and immersed himself in programming up to his elbows. Before joining Nintendo, he worked as a freelance programmer for HAL Laboratories while finishing his degree in computer science at Tokyo Institute of Technology. When SNES RPG Earthbound's troubled development ground to a halt, Iwata—by then president of HAL—shut himself away with the game's bug-ridden code for a month. He reemerged with a brand-new codebase, cleaner and more efficient than the original. Earthbound went on to become one of the Super Nintendo's most beloved titles. Later, Iwata reverse-engineered the turn-based battle system used in Pokémon Red and Blue and incorporated it in Pokémon Stadium for Nintendo 64, and he did it without so much as glancing at technical documents explaining how the original system had been implemented. The programmer from Game Freak who had created the battle system was amazed that a company president would deign to join his team in the trenches, much less be delighted to roll around in the dirt. Those stories, like Iwata himself, fly in the face of our industry. Video games are loud, bombastic, and ostentatious. Satoru Iwata was the opposite. Rather than play the rock star and let his face symbolize Nintendo and its products, Iwata was known to quietly step aside and let the company's games speak for themselves after inviting fans to "please take a look." Games were everything to Iwata. Over a period of 13 years spent steering Nintendo's ship, he oversaw the release of two handhelds and two consoles. When the company suffered a precipitous drop in profits in late 2013, he halved his salary so that no developer would be laid off. He conducted a series of deep-dive interviews titled Iwata Asks in which he sat down with producers, programmers, artists, musicians, and designers to pick their brains about some of Nintendo's most revered titles, from the original Super Mario Bros. and The Legend of Zelda: Ocarina of Time to Wii Fit and the 3DS itself. His business card famously read Corporate president, but he pointed out that in his mind, he was a game developer; and in his heart, a gamer. Satoru Iwata came into Nintendo on an upswing and passed away during a downswing. The Wii U has been declared a commercial failure despite boasting an impressive library of innovative first-party titles—a far cry from the success of the Wii and DS hardware, both of which changed the way the industry functioned. Still, his legacy has yet to be decided. He was at the forefront of development on the mysterious NX console, and, as late as last spring, teased that it would "surprise and innovate," and insisted that "if you only expand on existing hardware, it's dull." Ironically, Iwata may end up being as well remembered for one of Nintendo's first mobile games as for the hundreds of other products he touched. One of his most memorable decisions was entering into a partnership with developer Niantic, a move that saw Nintendo finally throw its hat into the mobile arena this past week with the hotly anticipated debut of Pokémon Go. Though not a Nintendo-developed game, Pokémon Go is the offspring of the partnership between Nintendo, The Pokémon Company, and Niantic. Over the past several days, the game has converted people of all ages and backgrounds into rabid Pokémon trainers. That is to say, into gamers. Not a term to be shunned, but to be embraced and shared by those who play games, no matter their level of interest. I'd like to think that's just as Iwata would have wanted it. 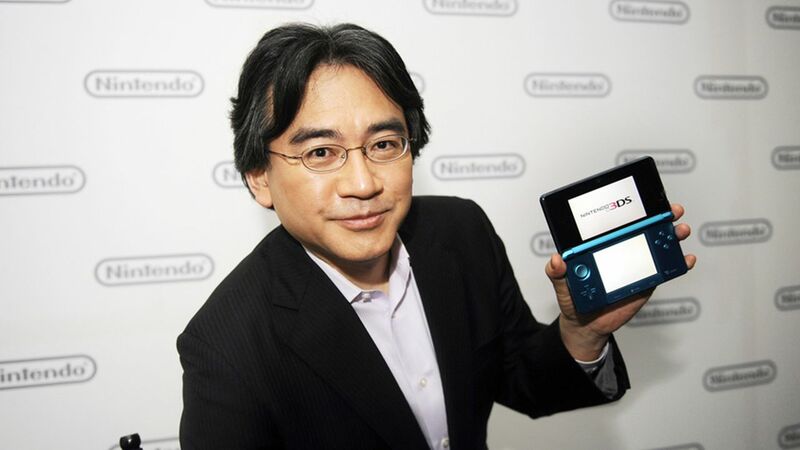 David Craddock posted a new article, Remembering Satoru Iwata: Corporate President. Game Developer. Gamer. Nice write-up. Thank you David. Now I am sad. I had not seen that animation, its really evocative of the image I have built of iwata in my mind. Everything I read about him makes it clearer of how much of a loss his passing was and its a shame that while he was alive I had no idea what an fascinating person he was. I liked him because he seemed affable but now I have this irrational sad feeling that missed out on the opportunity to appreciate him while he was alive. I also keep forgetting to read up on his iwata asks series so thanks for the reminder. Iwata Asks is a goldmine. Iwata speaks tech, he speaks game design, and he's also friends with these developers, so these interviews are among the best out there. Click on the sidebar navigation, there are so many interesting topics. Even things like collaboration with foreign developers is covered with Luigi's Mansion Dark Moon (Miyamoto pushing the team to think outside the box resulted in some really creative boss fights). Awesome, thx for the writeup. someone better archive these before N takes it down. Pretty sure that won't happen anytime soon, if ever. Thanks for the article David I appreciate it, makes me sad :( though I wish Iwata was still here today. Also I can't believe its been a year already it doesn't seem like a year has gone by at all. Man, reading those anecdotes, you realize how unique and irreplaceable Iwata was. Unlike a year ago, I'm starting to think Nintendo will be OK. Thanks in no small part to Iwata's influence. Thanks, all. It was a pleasure to write. Like so many, I hold Iwata in the highest regard.